In 1808 when the first County Asylums Act was passed, Bedfordshire was the third-smallest county in the country by population – only Monmouthshire and Rutland had fewer residents. Like many other counties, Bedfordshire had responded to Samuel Whitbread MP’s national survey (on the numbers of lunatics within each parish and county) in fear that an accurate response might be costly, and made the unlikely but not uncommon claim that there were a total of nil registered lunatics residing therein. Remarkable perhaps then, that Bedfordshire would become only the second county in England and Wales to build a proper County Asylum under the new parliamentary Act. Samuel Whitbread was the son of the famed brewer of the same name (who founded Whitbread’s Ales), and while he did take up his father’s business for a time, found his passion in reformist politics, and was elected as MP for Bedford in 1790, keeping the same post for the next 23 years. He was in favour of the abolition of slavery, advocated religious freedom and civil rights, and was among those striving for a national system of education. Unsurprisingly, he was drawn toward the emerging interest in lunacy provision, and it is almost exclusively down to him that local opposition from the Bedford authorities was steamrollered aside and the asylum built with County Rates regardless – as head member of the Select Committee on Lunacy, he was in a unique position to see his whim carried out in this regard, while reformists in other counties struggled to get an asylum built in their locality. Perhaps it was also not coincidence that he suffered from melancholia himself (or depression as it would be likely be diagnosed now), and ended his own life in 1815, just three years after his asylum pet-project was completed. Whitbread was very “hands-on”, assuming the job of staffing and furnishing the asylum himself, as well as arranging its routines, rules and regulations. He had consulted Dr Thomas Dunston on the design, management and medical regime – Dunston being the Superintendent of St Luke’s Asylum at Islington, which was then arguably the most respected such institution in the world. However, it seems unlikely that Dr Dunston would have advised Whitbread’s initial decision to look at two completely unqualified couples as prospective applicants to be the first “Governors” at Bedford. 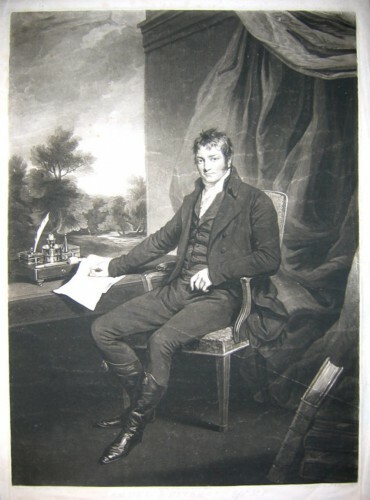 Of the first couple, a Mr & Mrs Jackson, Whitbread found Mr Jackson to be an agreeable and capable chap, but recorded that “the appearance of his wife, on whom so much would depend…was not exactly such as pleased me.” The next couple, Mr & Mrs Pither, Whitbread described thus: “William is a young man not 30 years of age, of simple unassuming appearance, and his wife with all the characteristics of a person fitted for the situation.” In other words, he liked them. However, William’s only tenuous link to any kind of experience with lunacy was that he was now a house painter, having taken over his role from an older man who could no longer work due to a period of “derangement”. History doesn’t record exactly how or why Whitbread had such faith that this young, totally inexperienced couple could deal with the incredibly complex and challenging role of overseeing a public lunatic asylum, or what series of events led to their even being considered for the role in the first place, but it must be remembered that this is very early days in County Asylum terms and there was little precedent to refer to. 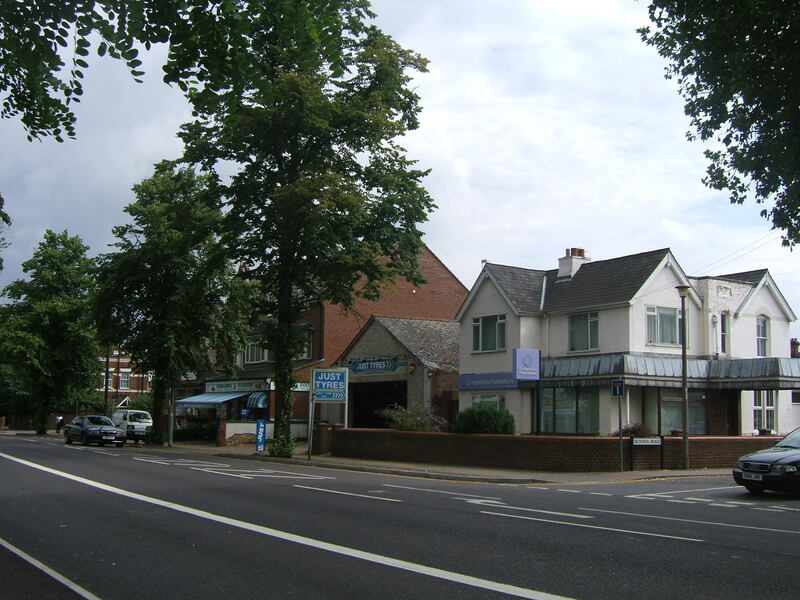 An advert was placed in the local paper, and while we do not know the exact wording, it would have been highly unusual for a tradesman to respond to a public advert for such an experienced role, but it was said that such hasty whims were not at all unusual for Whitbread. Only one other applicant had been considered, and he was rejected due to being unmarried. So William and Mary Pither were appointed as the first Governor and Matron in April 1812. They would have some qualified assistance available to deal with the medical side of the role however, drawing in the services of existing staff at the Bedford Infirmary with three of the surgeons (Dr Leech, Dr Pulley and Dr Short) signing-on as official Visiting Surgeons, sharing the role between them, and Dr Yeats, the Physician, taking up the same role at the asylum. One coarse woollen jacket and trousers. One pair of soft shoes. One handkerchief for the neck. Three shifts (a short, plain, sleeveless under-dress). Breakfast at 8:30am. Oatmeal gruel and a small portion of bread and butter. Dinner at 12:30pm. Meat served four days a week, 3/4lb of “undressed” meat with bread and vegetables. The remaining three non-meat days were broth made from the remains of the meat from the previous day. Supper at 7:30pm. Bread and cheese. Beer to be supplied at all meals. “this is to inform you the one person menched in the former letter will not come hur freinds don’t chuseit nor the parish don’t think proper. From the parish of Copel so no moore. Sir your umbel servant” (sic). So Whitbread decided he would visit every parish in person. A note by Whitbread later appeared on the letter regarding Mr Rendell, stating “visited September 27th 1812…harmless idiot.” So it appears Mr Rendell never was taken away to the asylum, and likely for the best. By July 1812 there were still only 17 patients, but the outer walls had to be raised due to a series of escapes, and escape attempts. By September there were 20 patients, with conditions apparently quite agreeable – two females scheduled for discharge pleaded to be allowed to stay. By December, a ward was set aside for up to 10 fee-paying patients in order to help balance the books as well as to fill up some of the empty space. Unlike most later asylums, out-of-county pauper patients were refused access, unless taken on as private patients. By 1816, there were 42 patients, 10 of whom were private. By the 1820’s facilities to generate produce on site had been added, and the asylum was now able to produce its own beef, milk, vegetables, butter and beer, mostly employing the male patients for such tasks, while female patients worked on the sewing and washing. In 1825, heating was finally added to the ground floor wards, and the airing courts were extended. Mounds of earth were piled and flattened level in the centre of each courtyard in a square in order to provide a staggered effect allowing the patients to see over the high walls to the world beyond while also maintaining the original height of the boundary walls. A swing and a blackboard with chalk were also provided to offer some meagre, if rather childish, amusement. By 1827, the asylum had been spending quite a bit of money on improvements and alterations, which caused the local Justices of the Peace (JP’s – responsible for overseeing the asylum’s finances on behalf of the county) to look more closely at its affairs. They discovered that a disproportionate amount of the money set aside for the asylum seemed to be diverted by Mr Pither (the Governor) in some way. While the asylum now held its capacity of 52 patients, Mr Pither’s household expenses alone covered provision for 17 people (including children) along with his mother-in-law, whom he had moved in without informing the JP’s. He had also been keeping his own pigs, fed at the expense of the asylum, and ordering in tea for himself and the staff at the exorbitant cost of 8s per pound. He was ordered to pay 6s per week in order for his mother-in-law to remain, to get rid of the pigs, and to find a cheaper blend of tea. Satisfactory changes appeared to have been made, with the above issues addressed, as well as the amount of meat bought-in having been reduced by around a quarter, and vegetables almost by half. However it later transpired that Pither had simply reduced the amount he made available for the patients in order to reduce expenditure while keeping his own household’s consumption as it was – he was reprimanded for this but surprisingly allowed to remain in post. By 1828 the population had risen to 57, with 15 private patients. 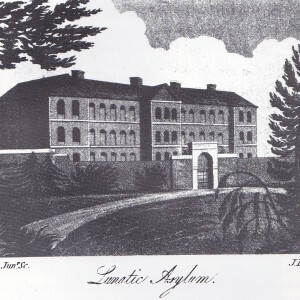 The same year, as with all asylums, Bedford was subject to the 1828 County Asylums Act, which meant visits from the Lunacy Commissioners as well as the local JP’s. Having a population still under 100 meant that Bedford did not have to employ a full-time medical officer, but must be visited by one at least twice per week. The roll-call of occupations held by patients was now to be included in the annual report, and for this year they were variously described as paupers and labourers (the largest two categories) as well as farmers, criminals, soldiers, millers, shop-keepers and also a butler, wool-comber, toll-keeper, whitesmith, collar-maker and in the finest tradition of the trade, a hatter. The private patients were described only as either a “lady” or “gentleman”. By August the same year, Mr Pither declared he was ready to depart (possibly before being pushed), and he left to be replaced by Dr John Harris, who would now be both Resident Surgeon and Manager of the asylum at a salary of £200 per annum, plus “board, fire and candle”. A Rev. H. Tatham was appointed to offer religious services for patients, and a room was dedicated to this, a screen wall being built down the centre to keep male and female patients from seeing one another. The asylum’s first baths and showers were finally installed in 1834 – it’s not clear how the patients were being kept clean prior to this point, but an earlier patient had complained of being threatened with an ice bath, so there must have been some facilities present. By 1836 there were 82 patients, 21 of whom were private. 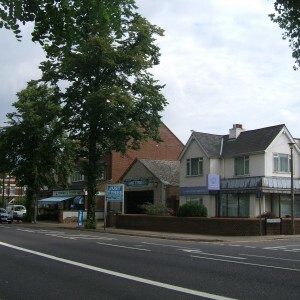 It had been recommended that Bedford no longer cater for the private patients, and while those already present were allowed to remain, no more were to be admitted. Dr Harris declared in 1835 that he wished to open a private asylum for the fee-paying patients while also continuing at Bedford, and his Springfield House Asylum, a fairly sizable private asylum, was opened in Kempston in 1837. In 1836, Hertfordshire (who had yet to build its own County Asylum) made an arrangement with Bedford to board all its “criminal lunatics” there, which then filled the asylum out to beyond capacity. 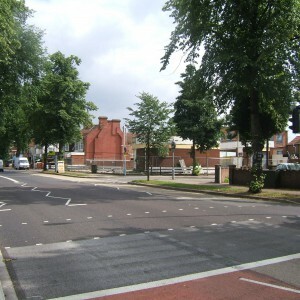 When Huntingdonshire (who also had no asylum of their own) made similar proposals, a Committee meeting was called to look into enlarging Bedford with space for another 72 beds, almost doubling its current size. 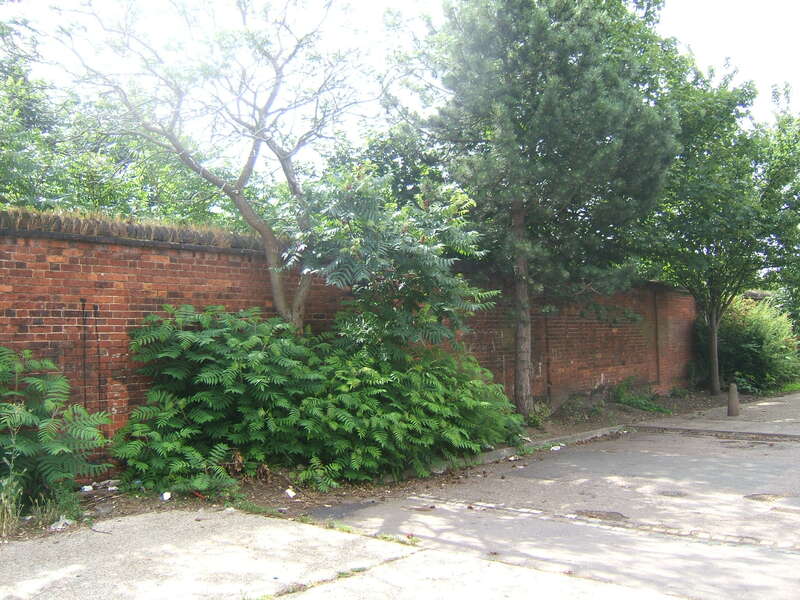 However, with the Northampton Asylum (St Andrew’s) due to open in 1838, and offering a lower rate for boarded out patients, it was felt that numbers at Bedford would reduce soon anyway, so the expansion plans were abandoned. Since 1812, inmates who had died at the asylum were buried at nearby St Mary’s church, unless claimed by relatives. By 1838, the graveyard was full, so a request was made for the consecration of a burial ground. The Secretary of the Bishop of Ely wrote back to say that while happy to oblige, it should be noted than many bishops do not perform this service as the ground can be lost or destroyed if the institution moves or is demolished. In 1840, a Ms Jane Stocks wrote to the Committee to complain that she had now been working for the asylum for 18 years (since the asylum opened) and had yet to receive any pay at all for her services. Dr Harris looked into the matter and discovered that while she had been in the asylum’s employ for some time, she had in fact began been a patient for the majority of that time. She was given £5 and told her services were no longer required. By 1842, Bedford was home to 136 patients, none of whom were now private. By it 1847 it had risen to 191 and was becoming severely overcrowded, with the population of Bedford town alone having risen from 7,000 in 1831 to around 10,000 by that time. By 1850 it was up yet further to 252, and this intense overcrowding is perhaps reflected in reports of excessive use of mechanical restraints during this period, usually muffs (over the hands) and leg restraints. A project of works began in 1848 to expand the asylum again, adding room for another 72 patients, as well as raising ceilings and adding much-needed ventilation to the wards, which were then being frequently described by visitors as repugnant. This caused a great deal of disruption to the life of the asylum – one visitor described his shock at seeing a patient stalking the wards with a hammer discarded by one of the workmen. By 1851 it was up to 260 patients and the Commissioners in Lunacy were beginning to make demands for changes to be made, which included the abolition of the practice of making clothes for the female patients out of discarded bedding material. It was also requested that all iron rings (used for fastening patients in place – a practice by then increasingly frowned upon at the majority of asylums) were removed from the walls of the airing courts and bedrooms and that all mechanical restraints be moved to a central point overseen by the Medical Officer or Matron (as opposed to freely accessible at the discretion of Attendants). They also requested that no nurse or attendant was to be employed who could not read and write, and that a book of rules and regulations be drawn up and given to all staff members to read and follow. While most of the suggestions above had indeed been implemented by the following year, Dr Samuel Hill, Superintendent of the North Riding Asylum (aka Clifton Hospital) had been sent by the Commissioners in Lunacy to give his verdict on the state of Bedford Asylum, and had a long list of complaints by the end of the visit. Visiting during the winter of that year, he may have been spared some of the worst effects of the poor ventilation, but did make criticism of that problem along with the height of the wards and galleries, the inability of patients to see out from the windows, the heating and hot water being inadequate or simply not working at all, the rough quality of the flooring, and the small size of the chapel. He went on to highlight the need for extensions, a lodge, a new gateway, bathrooms, lavatories, day-rooms and dormitories, as well as completely new fencing to surround the whole thing. The architect George Fowler-Jones had accompanied Dr Hill on his visit, and he later submitted his plans for these extensions and alterations. Surprisingly, the Committee accepted all recommendations, but asked that Hertfordshire and Huntingdonshire also commit to meeting a portion of the costs, as both counties were still boarding all of their pauper lunatics out to Bedford. This was sweetened by the promise that, having actually contributed to the building costs, the other two counties could then be offered a lower rate of accommodation for their referrals. Meanwhile, the County of Cambridgeshire, Borough of Cambridge, and the Isle Of Ely (as it was then) had decided to go in together to meet their individual responsibilities under the County Asylums Act, and were interested in building a brand new asylum with Bedfordshire. 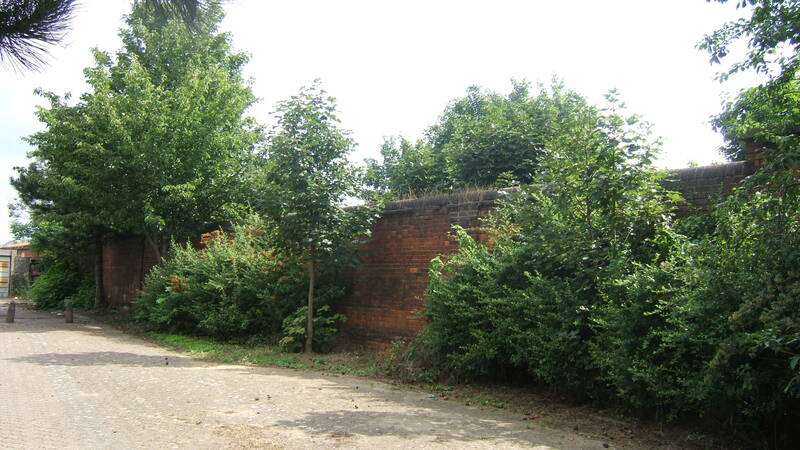 The Cambridge union’s complete proposal was that all six authorities should pitch in together to build an asylum for the sum of £70,000, at a site to be found as close as possible to the Great Northern Railway. 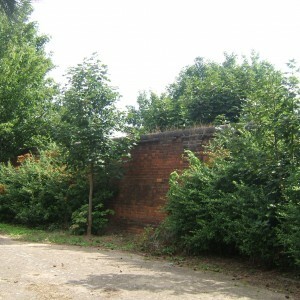 Negotiations, and not a few heated arguments, ran through into 1853, but it was eventually decided that the Cambridge and Bedfordshire Committees could not see eye-to-eye and would go their own way, with Bedfordshire, Hertfordshire and Huntingdonshire using the existing momentum to build a new asylum on a site at Stotfold, near Arlesey, Bedfordshire. 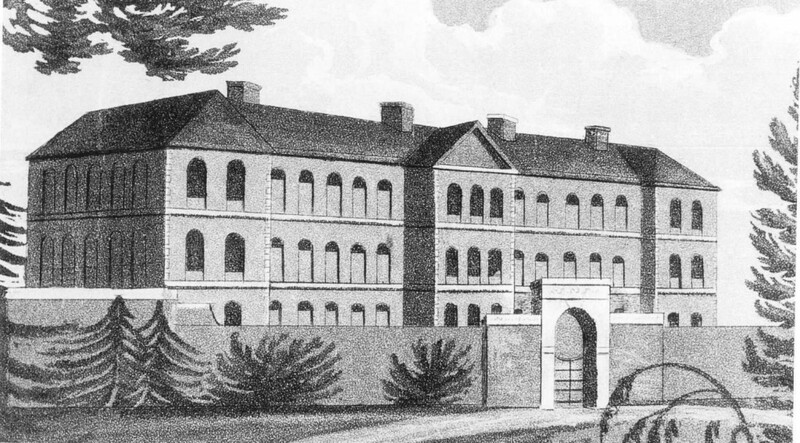 George Fowler-Jones’ early involvement in the scheme paid dividends for him, as both parties would eventually call on his services, with Cambridge, Cambridgeshire and Ely employing his design for their new joint asylum (which became Fulbourn Hospital), and Bedfordshire, Hertfordshire and Huntingdonshire scrapping their origin plans to extend Bedford, and having him design their large new asylum at Stotfold – the Three Counties Asylum (aka Fairfield Hospital). In 1855, the asylum’s oldest and longest-staying patient passed away – Richard Gaunt had been admitted way back in 1814, two years after the building opened, and so had spent 41 years there before his death. Upon admission, he had been said to be 65 years old, although this seems highly unlikely as it would have made him around 106 years old by then, which would have been a truly stratospheric “innings”, especially in the 1850’s. “the males had a supper with a little beer and a pipe, and the females had tea and plum cake and had the band of music to which they danced – they were all quite sensible that the treat was given to them to celebrate peace”. This mini-party had been thrown in celebration of the end of the Crimean War. However, some issues were considered important enough to be addressed immediately, including an infestation of bed bugs in the female wards, which was addressed by removing all the wooden partitions on the wards, and destroying the wooden bedsteads (some of which were recycled to make furniture for the airing courts). They were then replaced by iron bedsteads, on the understanding that these could not be infected, and could be removed and taken for on-going use at the new asylum anyway. 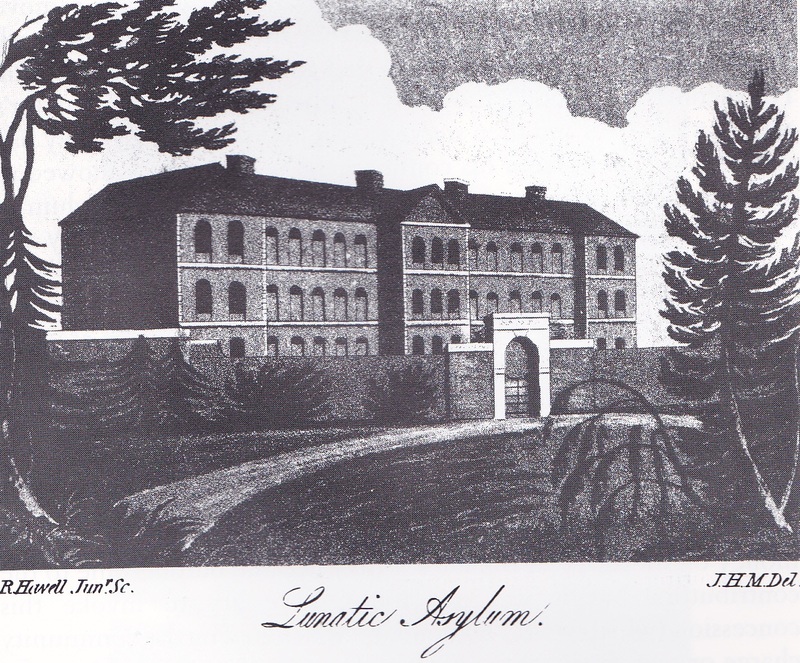 Only four of the existing staff members of the Bedford Asylum were to transfer to the new building, including the Medical Superintendent William Denne, his wife Lucy (who was also the Matron), the Steward John Barnes, and Clerk Samuel Wing. The new Three Counties Asylum officially opened on 2nd April 1860, but the first batch of 100 patients from Bedford had already been transferred that February, with all former Bedford patients transferred by the end of April 1860. It was reported the following January that there had been an alarmingly high number of deaths at the new asylum – 37 in total. The Committee, perhaps questionably, decided to attribute this to the strenuous nature of the move to new premises. 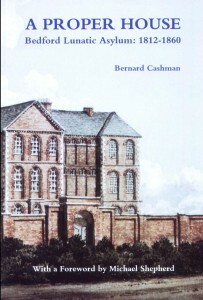 In May 1860, the fittings and fixtures of Bedford Asylum were auctioned off, and adverts placed for its sale, however by April 1861 it was still not sold, and with the ever-increasing numbers of pauper lunatics now filling up the Three Counties Asylum, refurbishing the old building as overflow was even considered, but eventually a buyer was found and it was demolished, with only the boundary wall along the railway line still existing. 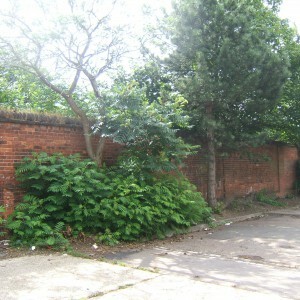 The burial ground had already become overgrown and vandalised as early as 1863, and the words of the Bishop of Ely regarding the risks of creating a purpose-built burial ground proved prophetic, as the location and the 498 bodies known to be buried there were indeed eventually lost, believed to now be beneath a children’s playground. Springfield House Asylum, which was Bedfordshire’s only purpose-built private asylum, survived until 1962, with patients transferred to St Andrew’s in Northampton, and was demolished the following year. I have a relative Mary Emerton nee Giltrow (b. abt 1811) who was admitted to Bedford Lunatic Asylum on 13/1/1870 and died there on 6/7/1871. This conradicts the closure date of 1860 given here and on Wikipedia etc. I obtained the scan of the register page via Ancestry and can send it if you are interested. It’s very clear. 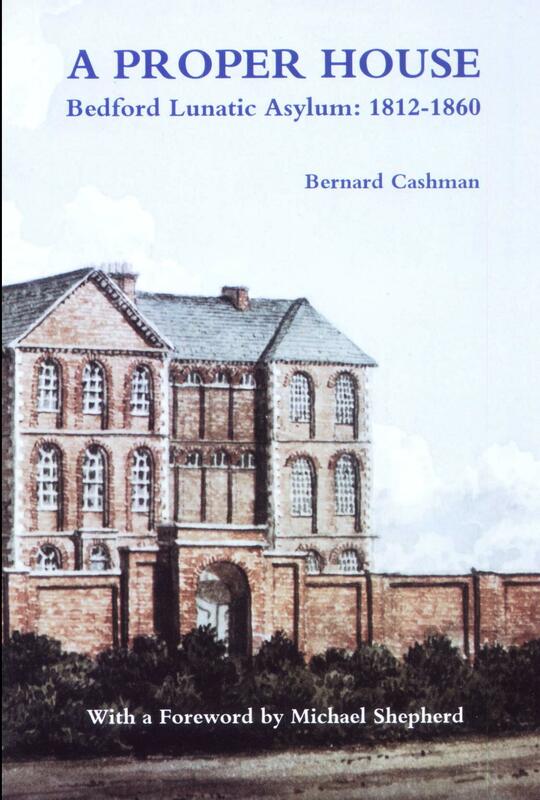 Hi Mark, the date cited corresponds with that given by ‘A Proper House’ by Bernard Cashman and also with the opening of the Three Counties Asylum at Arlesey, Beds, which served the counties of Bedfordshire, Hertfordshire and Huntingdonshire in combination. 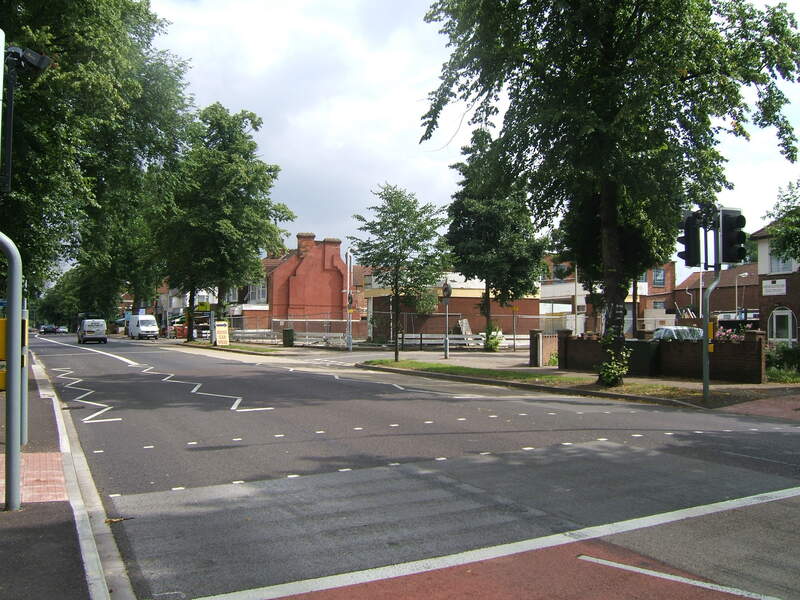 The information also indicates the asylum was demolished soon after closure when residential streets were laid out in it’s place (Muswell, Bunyan, Offa and Mabel Roads). I have consulted the admissions register for Mary Emerton on Ancestry as and also the corresponding 1871 census (recorded 2nd April) for the Three Counties Asylum. These both appear to correspond and the latter also includes ‘M.E.’ a female inmate, straw plaiter, age 61 (born c.1810) from Stanbridge, Beds – could this be your relative? Is this still here now as an asylum? Have a read of the history page. I have a relation (Rebecca Brightman) who was transferred to the new asylum on 30 March 1860 but haven’t yet been able to find the 1861 census for the asylum. She died on 28.9.1863 so would she have been buried in the old asylum ground or elsewhere? My relative was admitted to this facility 19 Feb. 1880 and died there on 8 Jan. 1882, this information was stated on the admittance page as found on ancestry. Her name was Sarah Cherry. I am interested in finding out where she might have been buried, how would I go about finding that information? any help out there would be greatly appreciated.